Everywhere I go, I hear children saying how excited they are that school is almost over for the summer. But that’s not the case for Ryan. 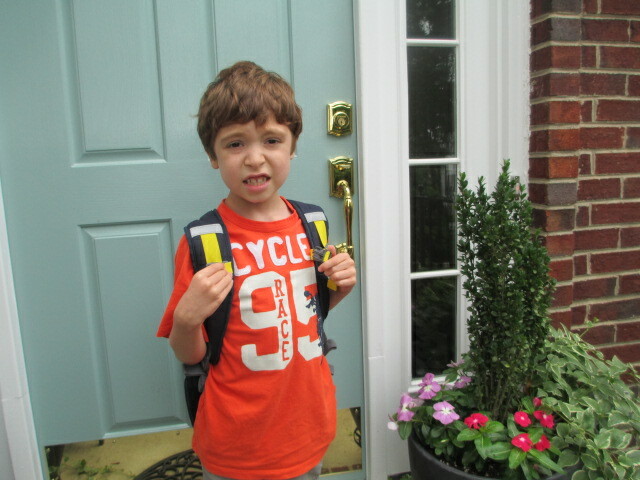 He would go to school year round with no breaks if he could. This is the hardest time of the year for Ryan. Transitioning to the summer is hard. Losing what is familiar is hard. And losing the structure of an established routine is hard. So all of his anxiety comes out with trouble sleeping. Ryan is the type of boy who never naps or just falls asleep in the car or on the sofa. It has been this way his whole life. The only time that happens is if he is sick. Otherwise, he needs to go through a structured bed time routine to fall asleep. And heaven forbid if my sound sensitive boy hears a dog barking, thunder, a lawn mower, or fireworks while trying to fall asleep. So he takes melatonin, a natural sleep supplement, to help him get to sleep, and guanfacine to help him stay asleep the whole night. But they don’t always work. Sleep issues! They are so common in children on the spectrum. And they are one of the most difficult problems to deal with. If a child isn’t getting enough sleep, his parents are getting sleep either. Then everyone is walking around tired and grumpy. So sleep problems come back full force when Ryan is experiencing big changes in his life. But it will get better. Right now, I’m grateful for all of the wonderful people in Ryan’s life, especially his teachers and therapists at school who have helped him learn and grow this year. Ryan loves school. That says a lot for the kind of nurturing he is getting there. 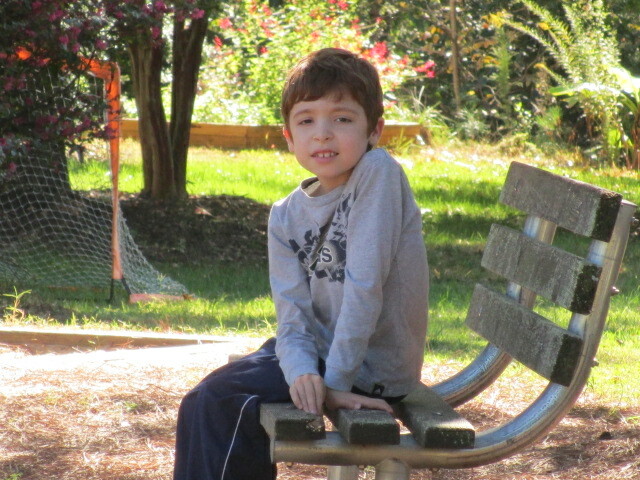 When Ryan started kindergarten two years ago, he didn’t talk at school, even though he was able. They’d give him the teacher’s walkie-talkie to encourage him to say something. When he finally did says something (He said “When will it stop?” about the alarm during a fire drill.) the whole class clapped. 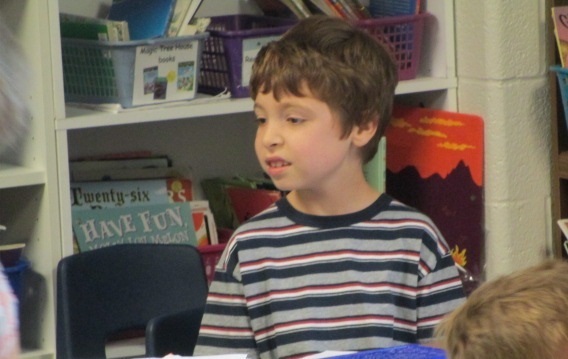 He started first grade talking up a storm. He began being more social with his peers and teachers. By the end of the year, he was asking for people’s names and talking about his likes, dislikes, wants and needs. He was playing with other kids on the playground. For the first time in his life, he had an answer if someone asked him who his best friend was. So, the end of the school year is an emotional time, as we think about what the school year brought and what new things will be ahead. And although it’s an emotional time for the parents of typically developing children, there’s nothing like the emotion and joy that comes with seeing the growth of a special needs child when you weren’t even sure if you’d see a lot of growth in the first place. That elevated joy is what makes parenting a special needs child a unique gift and special privilege, and one reason why I wouldn’t change my life for the world. Categories: Education | Tags: autism, changes in routine, changes in schedule for children on the spectrum, children with autism and school, end of school year, last day of school, sleep issues | Permalink.